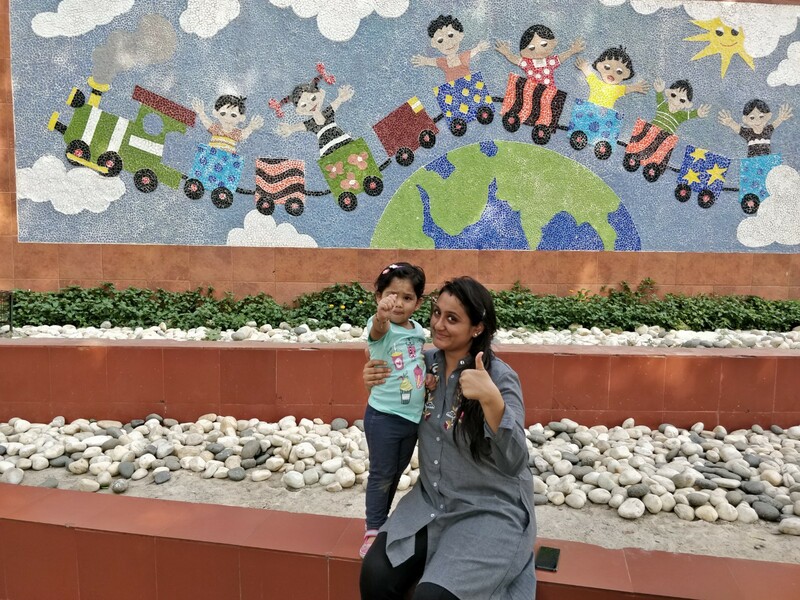 A few days back were Dusshera holidays and I and my husband did not miss the opportunity to visit some of Delhi's attractions with our daughter. Also, since winter is approaching and the air quality might deteriorate, we found this was the best time to enjoy these places. 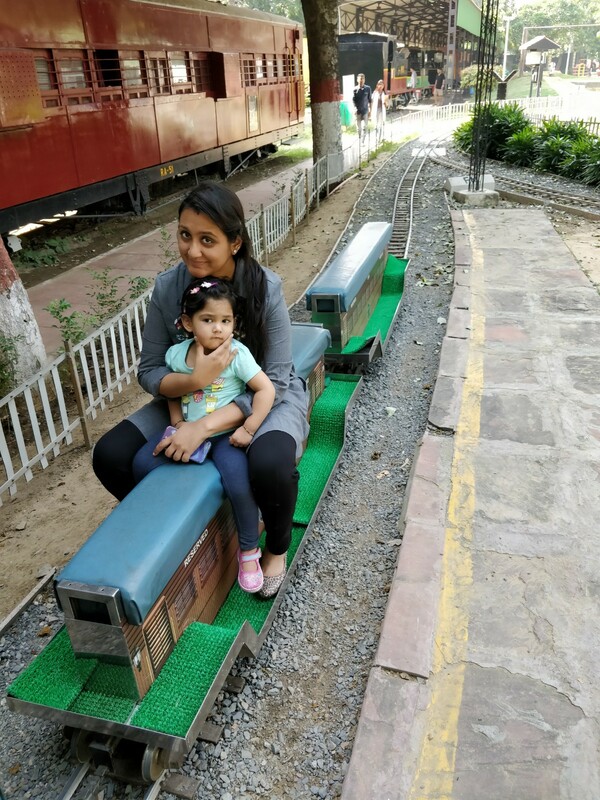 Located in Chanakyapuri, this museum is a one stop place that showcases the history of Indian Railways, antique engines and locomotives, offers toy train rides suitable for all age groups, 3D virtual coach documentary, steam loco simulators and much more. We decided to visit the place on a weekday to avoid the rush and experience the place at our own pace. 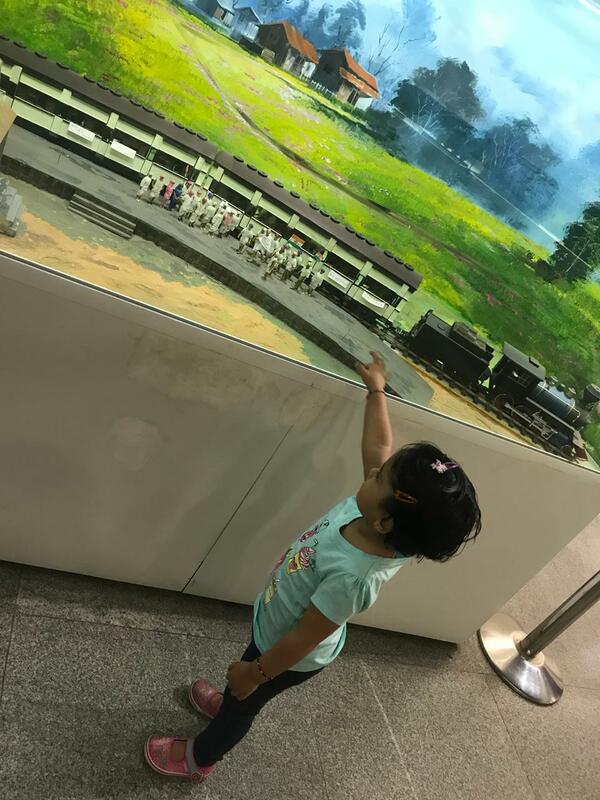 On entering the museum my daughter's excitement level peaked as we passed by old engines installed on one side and wall paintings of trains on the other. 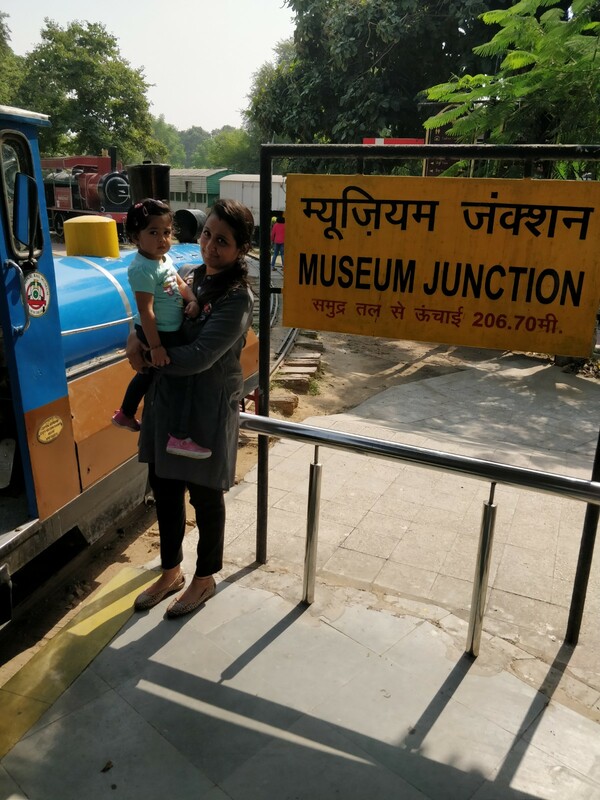 Further, we saw one of the smallest and unique platforms called the Museum Junction from where we boarded and enjoyed our toy train ride. 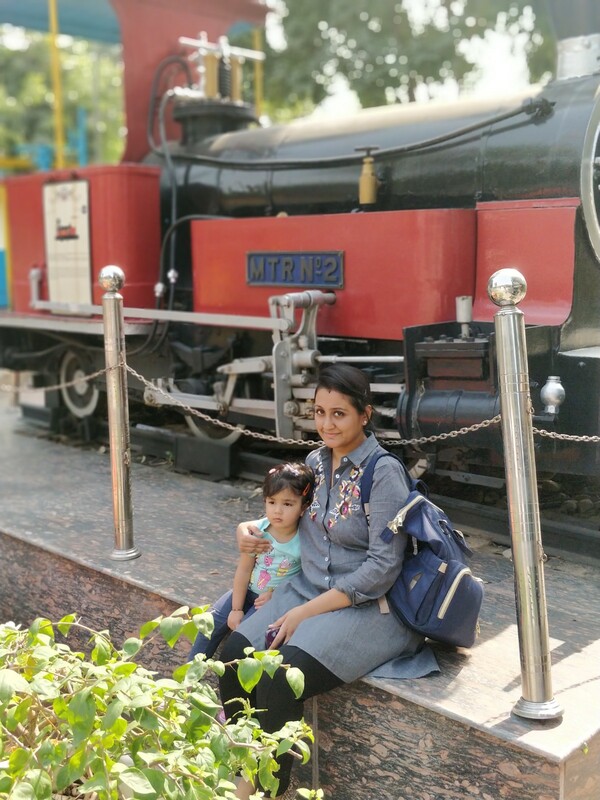 The toy train travels around the outskirts of the whole museum and we got a glimpse of a number of vintage locomotives, wagons, narrow gauge trains, a rail garden exhibiting different models of trains and stations. 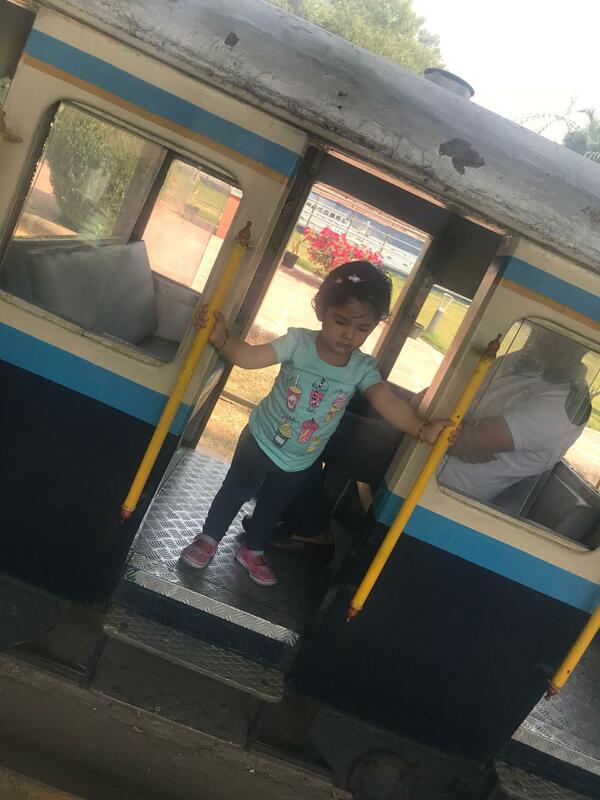 As expected, my daughter refused to come out of the coach once the train ride got over and it took me a while to convince her. We also enjoyed a narrow gauge train ride and I was quite surprised seeing the train's coach carrying our weight as it was very lean. There is also an indoor gallery displaying an exclusive collection of railway artifacts, historical pictures, equipments etc and we were quite fascinated seeing them. We then took a virtual coach ride which was in the form of a 15 minute 3D documentary. The documentary took us on a journey from when the Indian railways started to the present day network. We further proceeded to experience a diesel simulator and it reminded me of my childhood days when we used to play video games as the whole setup was similar to that. This is a must visit place not only for children but for adults as well. You can easily spent a couple of hours here and the place has everything to keep people of all age groups occupied. The museum is very clean and the staff is very helpful. There is also a restaurant incase you want to grab a quick bite. Overall a very satisfying experience for all of us. The museum is opened from Tue-Sun (10AM to 5PM) and entry ticket is Rs 50 on weekdays and Rs 100 on weekends for adults. Useful Tip: You can have your lunch at Diggin which is nearby (around 3-4km) and offers great food. 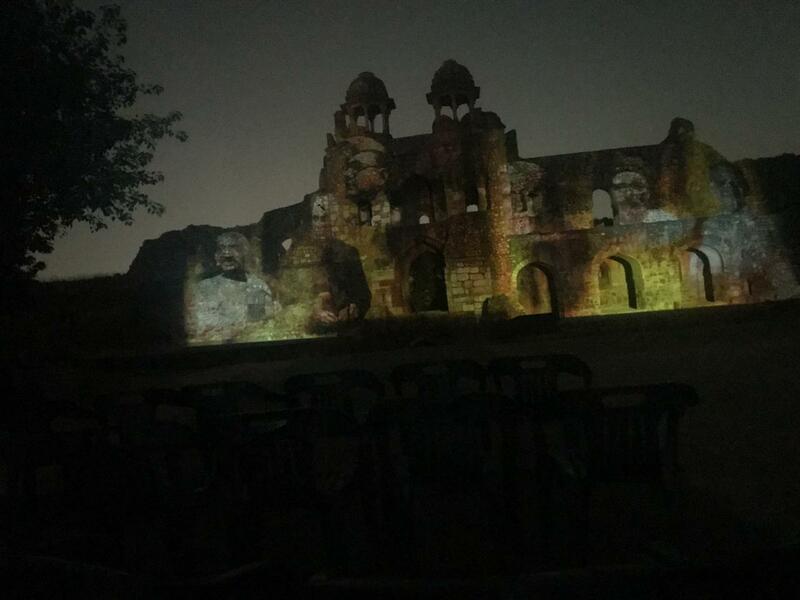 Introduced in 2011, the light and sound show highlights the glorious heritage of Delhi and is held on a daily basis at the Old Fort. The show name is Ishq-e-Dilli (means Love for Delhi) and for me it's one of the most underrated attractions of Delhi. There were only 7 people watching the show on a Sunday evening, probably because Delhites are still unaware due to lack of promotion. 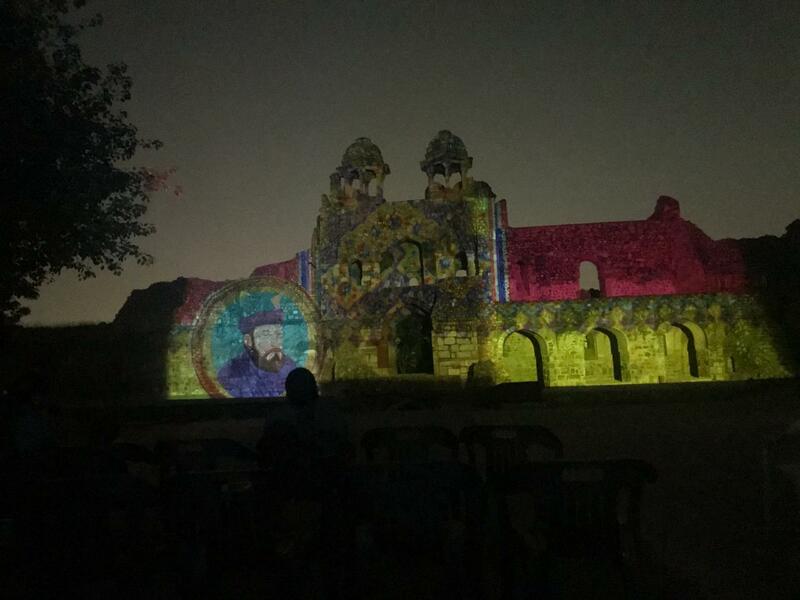 The one hour show begins by taking us back to the 11th century followed by the era of Delhi Sultanate, Mughal Empire, British period to present Delhi. The light and sound effects were really impressive and the content was extremely informative and entertaining. I felt 60 minutes was sufficient, although my 2 year old daughter felt a bit too much!! The only caution to take is that the show is conducted in outdoor and there may be mosquito issues, so winter is the best time to experience it. Verdict: I would recommend everyone to watch this show and take a glimpse of Delhi's history in a unique way. We chose the English version which was being narrated by Naseeruddin Shah. Tickets are available online which cost Rs 100 per adult and Rs 50 per child (3 years and above) and the show is run twice a day - one in Hindi and one in English. The timings of the show vary with season and can be checked online. Useful Tip: Delhi Zoo is adjacent to Old Fort and one can cover both these places on the same day. You can also grab some snacks at the popular Cafe Lota near Pragati Maidan.